Back on June 7th, 2013 we reported news about the next possible Samsung rival called the Sony Xperia ZU aka Togari, we now have the latest news covering this upcoming unannounced smartphone. The new Sony Xperia Z Ultra or ZU (Codenamed Togari) 6.44-inch has been unleashed in a photo and it looks massive, apparently 6.44-inch massive to be precise if all rumours stand up. The name U in Xperia ZU stands for ‘Ultra’, which means this will be the bigger brother of the ever so popular Sony Xperia Z and then some. The photo has appeared online over on nowhereelse.fr and with a massive screen of 6.44-inches this is no doubt set to take on the also unannounced Samsung Galaxy Note 3. The Xperia Z Ultra just like the normal Z will have three touchscreen buttons and will also have a full HD display. It is said it will come running Android 4.2 Jelly Bean but we are hoping by the time this releases Key Lime Pie would have officially surfaced, just looking at the photo below it looks great, probably too big for some but hey it’s a phablet. A new device was sort of revealed in the Sony press invitation, parts of the text was written using a stylus and we know if a smartphone has a stylus; you know like the Galaxy Note 2, you know that the new Sony smart device will have a big display. Please read more about the invitation over on Xperia Blog. We are hoping that the Sony Xperia ZU is the real deal, it looks real enough but you can never tell these days. It does seem to coincide with the phone shown in the press invitation, so here is hoping as they say. 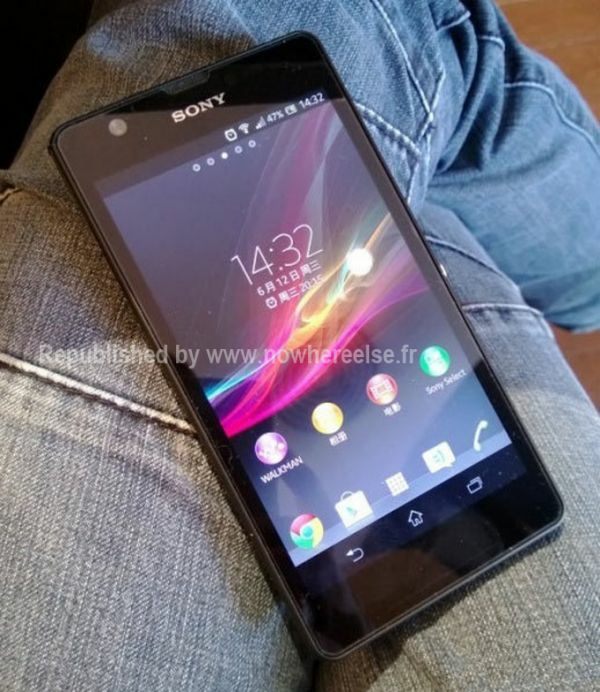 Would you like the Sony Xperia Z Ultra or ZU 6.44-inch shown in the unleashed photo below to be the real deal?